The BEST beginning goat farmer book I have read! 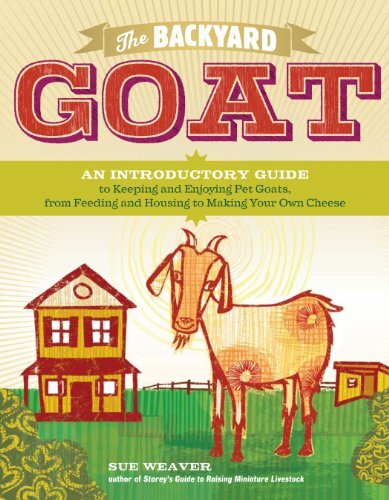 After having dairy goats for 5 years now, I have perhaps graduated beyond the beginner dairy goat books to know enough if they are good starter books or not. Sue Weaver covers it all in this book beginning with where goats originated and including breeds of goats I honestly haven’t even heard of before. She uses photo’s, drawings, and side notes to incorporate as much information in a book as possible. She covers information on milk goats, fiber goats, and pack goats from where to purchase them through their kidding days. Training tips and techniques for pack goats. Milk processing and recipes for milk goats. Shearing know how’s for fiber goats. Included are housing and feeding needs, health of the goats and emergency care needs. She includes Goat Tales from literature for a touch of humor. Extremely well written book with insight galore but not in a bogged down know it all way. Even for the seasoned goat farmer I recommend this book as a basic resource. I learned things I hadn’t known and found beginning concepts I was unable to find in other books on goats. I received a copy of this book from Storey Publishing in exchange for an honest review.